What’s the Difference Between Machine Learning and Neural Networks? Artificial intelligence, machine learning, neural networks – these terms are used together so often that they run together. 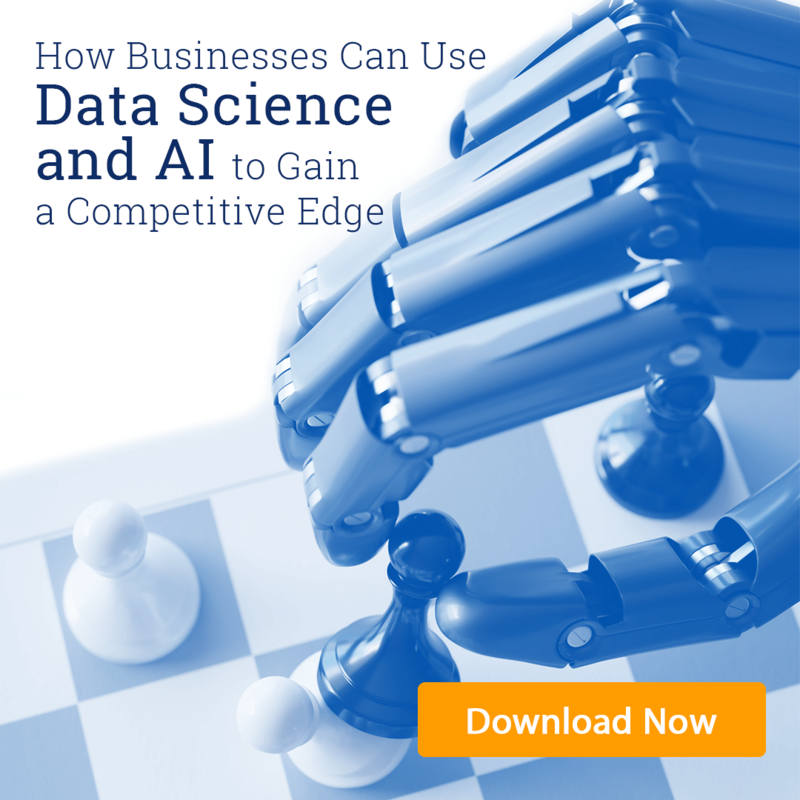 Differentiating them from each other can be confusing for executives who are just trying to explore the business applications of AI. So what’s the difference? Machine learning and neural networks are separated by both application and scale. Machine learning is a field of Artificial Intelligence concerned with training algorithms to interpret large amounts of data with as little human guidance as possible. The algorithms process data, then use what they “learned” from those calculations to adjust themselves in order to make better decisions on the next batch of data. There are two general types of machine learning. In supervised learning, an algorithm is fed a selection of labelled data for training purposes. It’s used to find known patterns within unknown data. One application would be identifying human faces in a batch of photos. Under unsupervised learning, an algorithm gets no labelled training data and is only told whether an outcome is desirable or not. This method is best used to spot unknown patterns in known data. For example, unsupervised learning can find common characteristics in customers of a certain store that would guide marketing decisions. An artificial neural network is technically called an ANN to differentiate it from human biology, but most of the time it’s casually referred to as a neural network. It’s a network of algorithms that allows a computer to process data similarly to how a brain would. Neural networks are arranged in layers of computational units (like neurons). Each connects with the layers before and after. Because they’re influenced by neighboring layers neural networks can learn in a non-linear fashion. A typical “feed forward” neural network, where data flows in one direction, has three main parts. Input Layer: Signals arrive to be processed. Hidden Layer: This layer applies a specific rule which changes as the network “learns”. It isn’t an input or output layer; rather, it’s a filter or distillation layer. Most neural networks has multiple hidden layers. Each has its own distinct rule which it applies before sending the signal on, and each serves as the “input layer” for the next layer in line. Output Layer: Here’s where the “results” or conclusions from the collective calculations are provided. As mentioned earlier, the difference between machine learning and neural networks is one of application and scale. Machine learning is a process while a neural network is a construct. Simply put, neural networks are used to do machine learning, but since there are other methods of machine learning the terms can’t be used interchangeably. Because neural networks are used in deep learning, they can be considered an evolution of machine learning. It is something of a simplistic view, but neural networks operate on a larger and more complex scale than basic machine learning. Thousands of algorithms can be layered together into a single network for more complex calculations. Neural networks do have advantages over other machine learning methods. They’re well-suited for generalization and finding unseen patterns. There are no preconceptions about the input and how it should be arranged, which is a problem with supervised learning. Also, neural networks excel at learning non-linear rules and defining complex relationships between data. Machine learning has only recently established its value to business, and neural networks are still being developed. That said, they’re the closest machines have come to mimicking the level of flexible thinking humans possess. It should be exciting to see how far this technology goes and where it leads the business intelligence world. Machine learning-powered enterprise analytics are becoming a core facet of business intelligence. Sometimes, though, juggling data feeds from various software can be more distracting than helpful. Concepta specializes in building customizable dashboards that unite analytics streams to put your data where you need it, when you want it. Set up your free consultation to find out how! Last year, Google Deepmind took a giant step forward in proving the value of deep learning when the latest version of their Go-playing computer program, AlphaGo Zero, beat the previous model after only three days of self-training. This is an impressive feat by itself. The implications for business and enterprise analytics, however, are more exciting. Reinforcement learning is a type of machine learning where the machine is allowed to automatically determine the “ideal behavior” within a specific situation in order to obtain the optimal outcome. There are two parts to this. First, the algorithm weighs the value of as many possible future states as it has time and power to consider. Next, it selects the best next action based on its current state. Systems undergoing reinforcement learning aren’t given training sets. They have no human advice about whether each move is good or bad, just whether the end state is ideal. Reinforcement learning useful for creating generic decision processes which can theoretically be applied to different domains. This is actually the goal of Google Deepmind: they’re trying to create generic deep learning algorithms that can be set to analyze any type of situation. Computers have been beating humans at chess since IBM’s Deep Blue defeated chess great Garry Kasparov in 1997. Go is considered harder for computers since there are many more moves to be considered even from the start. Until the original AlphaGo defeated European Go champion Fan Hui in 2015, no AI had yet beat a highly-ranked human player on a standard-sized board. AlphaGo Zero pushed Google’s success further. It defeated the original AlphaGo system as well as the number one human player in the world, Ke Jie. Zero made several large technological leaps forward to achieve this. Scientists were most intrigued by Zero’s self training. Unlike earlier systems which were given recorded games to study, Zero started only with the rules of Go. It reached a world champion level of play entirely through reinforcement learning. Though perhaps less exciting, it’s important to note that Zero was also less resource-intensive than other AlphaGo systems. The original AlphaGo used a “policy network” to select the next move and a ”value network” to predict the winner of the game from each position. Zero combined these two, using a single network. It was able to do this with only 4 tensor processing unit (TPUs). For comparison, the first AlphaGo used 176 TPUs and the previous system used 48. Despite using fewer resources and having to teach itself Go strategy from scratch, AlphaGo Zero matured incredibly fast. It took only three days of self-play to reach world champion level. Machine learning algorithms needs to be trained to work. Traditionally human scientists supply labelled datasets to guide algorithms in their development. It’s often tedious, expensive, or even impossible to supply training data for a specific situation, though. Pure reinforcement learning could open a whole new universe of AI applications. Marketing: Right now humans rate, code, and train marketing algorithms, but with reinforcement learning those algorithms could game out marketing strategies alone and supply targeted direction. Healthcare: Machine learning algorithms show promise in detecting disease and risk factors using eye and skin scans. So many factors are involved that humans would have a hard time building a training set. Reinforcement learning could improve algorithms as well as increasing human understanding of how diseases present. Manufacturing: No single corporate operating policy can be ideal for every situation. Reinforcement learning algorithms could be set loose on each individual factory or plant to optimize routines, achieving the maximum output for each set of circumstances. Hospitality: Predicting human behavior is even hard for humans. Systems that learn based solely on whether guests are happy at the end of their visit could help those in the hospitality industry provide the best service in the most efficient manner. AlphaGo Zero is evidence that working towards general-use deep learning algorithms using reinforcement learning is a realistic approach. Both the Chinese Go program Fine Art and its Japanese counterpart Zen have been able to duplicate Zero’s results (though neither has surpassed them), proving that Zero isn’t a fluke. Google is shifting focus from AlphaGo Zero to putting lessons learned from its development into practical use. It will be exciting to see what they make of this incredible breakthrough for artificial intelligence. While pure reinforcement learning remains in development, there are hundreds of sophisticated enterprise analytics programs on the market. Schedule a free consultation to discover the right business intelligence solutions to expand your business and explore how to unify them in one easily accessible place.